says he sees many from the losing side who want to join PH. But the people cannot accept them and therefore, they should not be accepted as members in PH. says he hopes to announce the 10-member cabinet by this week. 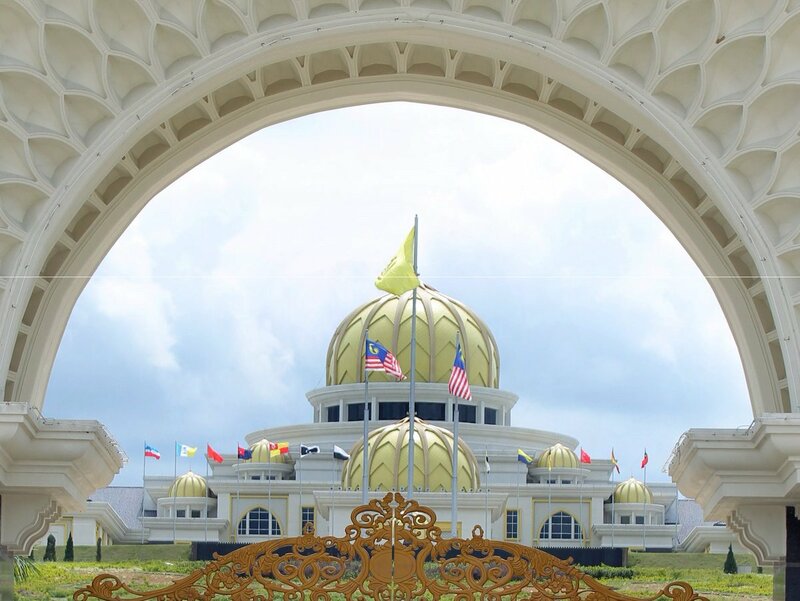 says the appointment of the new MACC chief commissioner must get the approval of the Yang di-Pertuan Agong first. says petrol prices will remain the same and if there is a hike, the govt will subsidise. With the help of Datuk Seri Hishammuddin, who is also opposed to Anwar, Hamzah managed to persuade 38 Umno MPs to sign statutory declarations in support of Dr Mahathir if anyone brings about a vote of no-confidence against the Prime Minister in Parliament. "I may be accused of being a dictator, but I like to differ. And today, a dictator will talk about democracy." 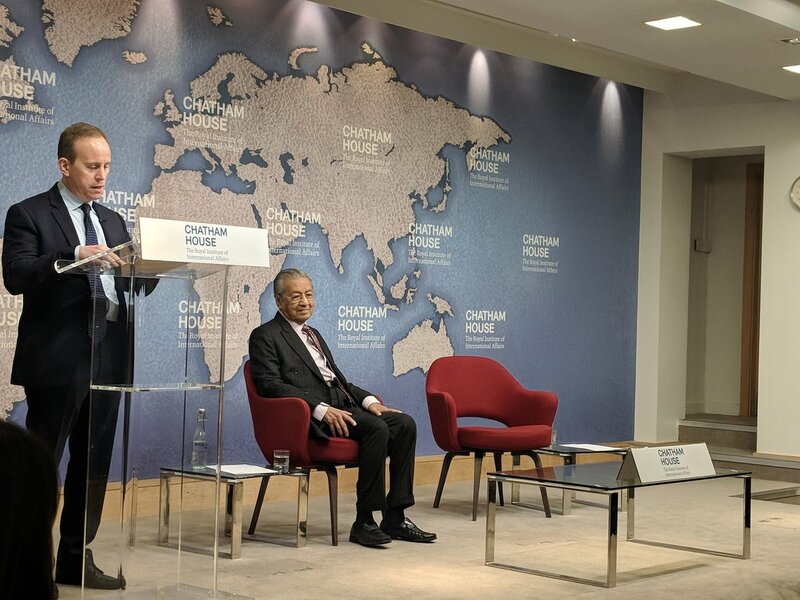 - Tun M said, to a roar of laughter from the crowd at Chatham House. "Democracy is not something easy to handle. The basic rule is that the majority of people have a right to choose their leaders. If you want to make a government work, you need to have a certain kind of discipline." 1. Tolak tepi tuduhan politik wang, jawapan mudah kepada persoalan di atas: mereka berdua "kurang Melayu" berbanding Zahid. 2. 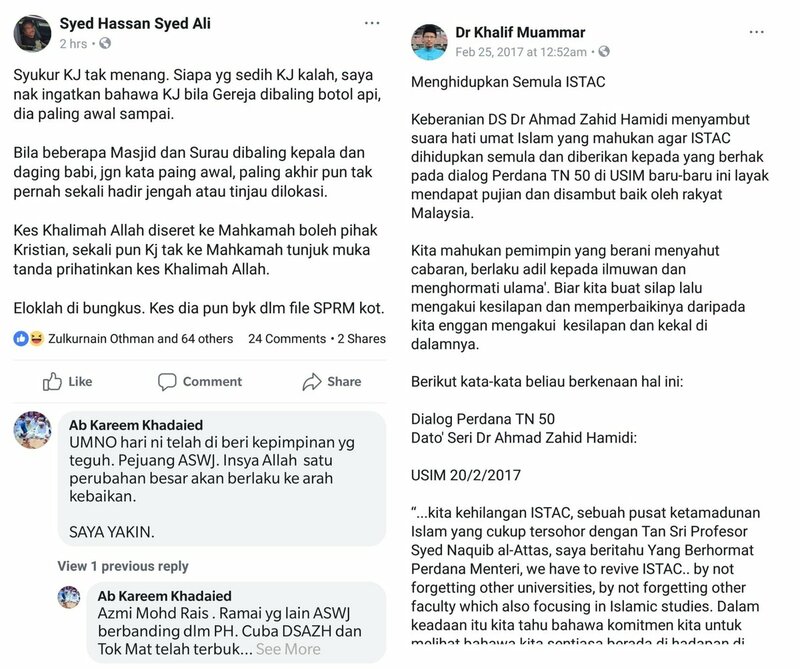 Anda boleh lihat pandangan yang diutarakan penyokong UMNO di akar umbi dalam komen Facebook ini: orang kuat/SUA PERKASA (Tuan Syed Hassan) dan orang kuat DS Zahid Hamidi sendiri: Sheikh Kareem yang juga merangkap SUA Pertubuhan Tarekat Muktabar Malaysia (PERTAMA). 3. Di kaca mata orang Melayu akar umbi yang tradisional dan konservatif, DS Zahid Hamidi adalah panglima Melayu, bukan setakat itu saja, hampir-hampir saja menyerupai taraf keperwiraan pemimpin politik lagenda Ahl al-Sunnah wa'l-Jama'ah Nizam al-Mulk. Tun Dr. Mahathir Mohamad has proven once again in the last three days that he is in fact, the greatest politician to have ever walked this land. No one saw any of this coming and yet, here we are. To quote Dr. Strange, this is the end-game now. This is a thread, bare with me. He created the Eminent Person Council to ensure there will not be any lasting damage on our economy. By having five different and highly qualified members, he ensured that where the economy is concerned, there will be no politics involved. He then divided the powers of Cabinet equally among the four component parties to ensure there will not be any "UMNO" big brother play. Anwar will eventually be PM but he will never be the Finance Minister. Try telling DAP that Lim Guan Eng is dropped, cabinet reshuffle. I would like to continue my call for the CEO of National Football Deveipment Program (NFDP) to resign. Harus ditegaskan, program NFDP adalah program yg bagus dan perlu diteruskan. Cuma pembetulan perlu dilakukan. Dan ianya perlu bermula dengan perletakan jawatan CEO NFDP supaya kajian semula menyeluruh dapat dilakukan.